ICS-300 provides training and resources for personnel who require advanced application of the ICS. The course expands upon information covered in the ICS-100 and ICS-200 courses. This course is intended for individuals who may assume a supervisory role in expanding incidents or Type3 incidents. Note: During a Type 3 incident, some or all of the command and general staff positions may be activated, as well as division or group supervisor and/or unit leader positions. These incidents may extend into multiple operational periods. We are offering a couple FEMA APS courses for our Spring Emergency Management academy. These classes are open to everyone around the region so if you are interested please sign up. Both of these classes help fulfill requirements for your APS certification. This 2-day course is intended to equip emergency management staff and voluntary agency personnel with the knowledge and skills necessary to perform as effective mass care coordinators in a broad range of disaster situations. The course covers how to size up mass care needs; how to plan for mass care; recruitment, training, and exercises for mass care personnel; and actions to take in short-term and long-term mass care operations. Target Audience: State, tribal, and local government emergency management and voluntary agency personnel who are involved with mass care assistance. This workshop is designed to train emergency managers and other interested individuals who have no specialized technical background, but can support mitigation efforts as advocates. The workshop provides activities and exercises that build the participants’; abilities to: perform the tasks and responsibilities of the emergency manager’s role; create long-term strategies for disaster-resistant communities; identify local mitigation opportunities; select mitigation solutions to hazard risk problems; find resources to carry out mitigation activities in a post-disaster environment. Target Audience: All personnel at the state or local level involved with any phase of mitigation. Need help or have questions about course enrollment? Call the LMS Help Desk @ 804-897-9995 or email lmshelp@vdem.virginia.gov. Monday-Friday, 8-4:30. Our regular training will occur this Saturday, March 15, 2014. We will start at 0900 EDT. Please register with MCM after sending David a message. The Marine Corps Marathon office is going to be running their 17.75 run on April 12. The operation begins at 0600 and should be complete no later than 1400. The race begins at 0800. This years route is a circle (yay). We need at least 16 operators, and more would be helpful because we know that when race day arrives, we tend to have a bit of attrition. Final communications plan and volunteer paperwork will be sent out closer to the event. A mobile with an antenna is usually sufficient. As with all Marine Corps events, it is rain or shine, hot or cold. If you can participate, please email David Lane, KG4GIY directly, then go out to the MCM site and register. Woodbridge ARC will be supporting the 24 hour run in Prince William Forest Park. They will be using 147.240 + as the repeater in the park with 147.525 as the simplex backup. 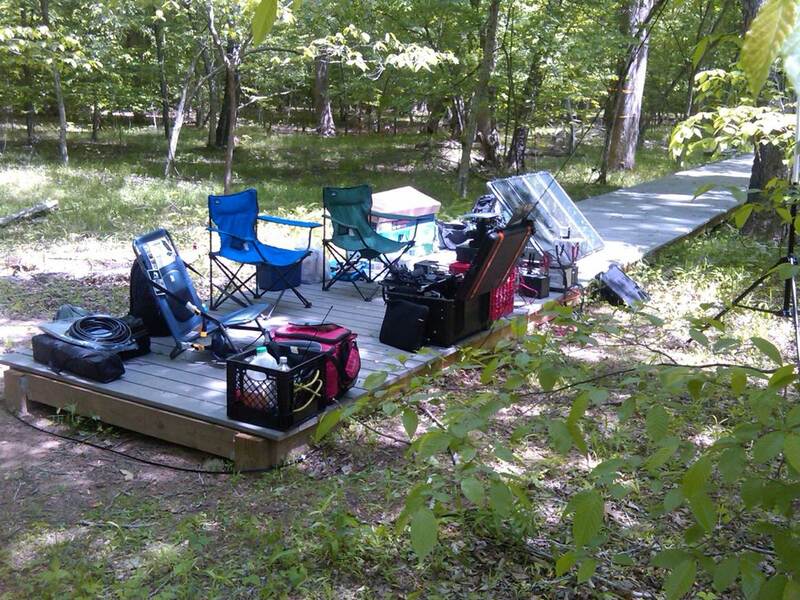 There will be operations on HF, VHF, and digital as well. A minimum of two stations are needed to be manned during the entire event. The weather can vary from very nice to very un-nice. Past history has warm days and cool nights to pouring down rain and snow. The operation begins at 0630 on Saturday morning and concludes at 1000 Sunday. The actual race is from 0700 Saturday through 0700 Sunday and occurs in the dark of the night as well. Nothing more exciting than watching runners in headlights at 2AM! Please contact Rob Williams, KJ4LWN directly to volunteer. Whatever your reason, the raspberry pi is not the ideal platform to run fldigi on, but it is not a bad platform for demonstrations, and testing. But getting from here to there is not straight forward. But the version you are grabbing may not be the most recent one, and there are occasionally some issues with backwards compatability. I did try downloading the precompiled binary but at least for version 3.21.78, the binary did not run on the pi, even though it ran without issues on Ubuntu on my netbook. Which leaves the tried and true method. Compile the code from scratch. And I thank the developers for providing the source code that allows me to do this. But, like most software, when you start down the path of compilation, you occasionally have to make a detour (or three) to get it working right. So I will help here by taking you down the road I went, but I don’t guarentee you will get there from here. This is just what I did, and what I wrestled with getting there. One thing I will point out is that this is a long process, partly because of the number of packages that need to be fetched and installed and partly because of the capabilities of the pi. Can you do it all in one sitting? Yes. But you might want to plan to take a couple of breaks along the way. Before you begin, you need a running Pi. I am going to assume you have already installed the software, and performed the inital configuartion, but not much more. If it has been a bit since you lastupdated your Pi, you might want to do that first. By the way, I will assume throughout that you are connected to a live Internet connection and have already figured out how to log in. Most of the following commands are excuted at the command line. It might take a couple of minutes for this to grind through all the packages it needs to get, and then update. Although you do not have to reboot the pi, if you got a new kernel during your update, it will benefit you to reboot and make sure the new kernel is working properly before you dive into the next part. Now that the software is up to date, and the kernel is good, we can get serious! Before you can begin, you should grab all the files you will need. I find it easiest to put all my downloads into a single place, called source, so I can find them when I am looking for them later. Depending on how you download your code, you can open a browser and download it (suggested because how often fldigi changes) or you can use wget. Grab the files you want from the fldigi download site. You will also need some other files. It will ask to install some additional dependancies. Say yes and let it go. Chage into the source directory. Untar the source file (I will only document this once – I will assume you can follow along after this). Change into the fltk directory. Configure the source tree and makefile (note the dot before the slash – you have to do that or it will error out at you). Compile! (and grab a snack…took about 15 minutes). With luck, there are no errors and the software is installed. I did get a few errors about depricated code in the X11 libraries that the fltk program warned about, but did not error out at compile time. You can safely ignore those sorts of errors. You are done with this step. Chage into the source directory, untar the file and move into the directory. Compiling some other packages against libsamplerate may require the addition of "/usr/local/lib/pkgconfig" to the PKG_CONFIG_PATH environment variable. Update the package configuation path (PKG_CONFIG_PATH) – command is all on one line. e       - Edit proposed sys.argv[1:]. 2 - Install with prefix. Choose 0 to configure, then press Enter. It will dump you at a “press Enter to close.” Go ahead and press enter. Start it again, select 1. Press Enter and it will start building (you might get a few warnings). Press enter to be returned to the command line. Press enter to return to the command prompt. You are done with this step. Change directory to the source directory and untar fldigi, then move into the fldigi directory. Configure the software source tree and makefile. Compile! And grab a snack…it takes a bit and maxes out the CPU. And that is that. You can now fire it up by opening up and testing it. The most straigtforward way is to click on the bird-like icon on the far bottom left corner, which brings up a pick list. Slide up to “Internet” and Fldigi is on the list. Click on it and it will start. (Fldigi does not like running through vnc). Next, we will compile and install flmsg. On Saturday, February 14, 2014, the Digital Working Group met along with some other interested parties to discuss the current state of the digital technologies, as well as try and find a road map for implementation within the PWCARES framework. After introductions, we went through some presentations. Evolution from a discussion about “is there a role” for digital in ARES to clearly there is, especially the farther west in the US you go. Packet is still a viable technology, but with a high learning curve. Some masking is done by Outpost, a Windows-based piece of software. Store and forward as well as direct connect. Also has the ability to hopscotch from node-to-node to improve connectivity. Heavy infrastructure requirement, most packet nodes are no longer active. WinLink is a long running, Windows-based message service. Many have had success with it. At this point, digital messages are being utilized in experimental mode. While it is desirable to have a digital node at each location, until we are completely comfortable with operation, it may not yet be possible. Further, these are the identified (but not exclusive) types of messages that could be passed by digital methods. Bulletins. These are messages that are sent out from NCS regarding the state of the operation, active locations, operational period data, weather updates, etc. that are necessary for all stations but could utilized excessive bandwidth on voice. POD Supply lists. These are lists that may include equipment and supplies needed at a Point of Distribution, either basics or medicinals. Low priority messages. These are messages that would take up unnecessary bandwidth on voice but still need to be passed. While these are not all the types of messages that can, or could be sent by digital, it is a good start. While we are working through the process and procedures, there are some additional issues we need to keep in the back of our minds. Printers? What is the need for being able to print out these digital messages? Do we need to arrange for access to printers? What sort? Directed Net? Does digital operations require a directed net? How would that operate? Time segments? Would it make more sense to have a time slice management plan instead of a directed net. For example, in any 15 minute segment, the first x period is reserved for priority or emergency traffic, the rest of the period is a free for all? Can fldigi be set to auto select operational mode? If so how so? Finally, there was a decision to try and set up smaller hands on working groups to configure and test configurations before we take it to the field. There also needs to be a separate effort to create a quick reference guide. This can be managed via the digital list or this site. If someone would like to volunteer to host a working group, please identify yourself and we will get it on the calendar. Here is a link to the presentations and other information from the working group. NBEMS? Why don’t we just call it what it is? I would encourage you to visit the NBEMS page though for only one reason – there are two lovely presentations about how to set up FLDigi for this use! And if, like me, you have been frustrated by how hard it seems to be to get bi-directional traffic flowing as well as a starting point for a “standard,” then take a look at these two presentations. Low cost of entry. This means that whatever solution we choose, it should not cost the average operator a lot of money to participate. This means that the code needs to be open source or low cost, the hardware footprint needs to be light and it should work with the majority of radios out there. Easy configuration. The selected software should be easy to configure and it should be easy to bring up a node without needing to be a networking professional. It would be nice if we can do the following a) have a running “full time” network and b) be able to link into that network quickly in an emergency, like the old packet system as an example. Easy to use. At the end of the day, it has to be easy to use by anyone for sending the common message forms (ICS-213 minimum) and possibly be able to pass the message from a terminal at the “site” to the “systems” being used by the EOC (the biggest example would be a 213 cut and pasted into WebEOC). You will note that I don’t care a lot about HF or VHF or UHF. That being said, I expect that local transmissions will likely be done by the lowest common license class – Technician, which makes HF pretty much a non-starter for emergency communications within the county. Under my desire to have a functioning full time network, HF uplinks to digital nets (like VEN/D or WinLink) would be expected, but are not a requirement at this point. Let me also say that the general rule of thumb that HF would be done by those more permanent stations is still the working model. There are advantages to store and forward. It has been proven over the last forty years as being a stable method for passing messages. There are advantages to the fldigi model of send it once. And there are disadvantages. If I was building it (in a vacuum) I would use a bit of both. I currently have a packet node up and running. I connect to it with a simple console connection. I would love to be able to connect to it with a terminal session from my smart phone, but so far I haven’t found a cable that will let me. I used to be able to do it with my Palm though :). I have played with fldigi/flmsg and Outpost with limited success (yes, I know they are for different purposes). I have never had a lot of success with WinLink, or D-Rats. Frequencies we want to use. These are, ideally, 2m/440. We may also want to consider supporting 6m/220/1.2 and D-Star. Protocol. What protocol will work best to ship the message and will all the software support it? Message types. What types of messages should we expect to be sending via this model? I think, once we define these things, the rest should at least become more clear in direction. At one point we tested 1.2 DD with D-Star (just for grins and giggles). We actually tested the connection between a remote station and WebEOC and it worked nicely, if slowly. I would rather see a number of nodes around the county rather than trying to link two nodes from one end to the other, for redundancy if nothing else. There will be a voluntary meeting of the cadre on Saturday, February 15, 2014 at the EOC at 0900 for us to sit down and walk through the issues and technologies associated with using digital systems in the ARES network. This will be as much a discussion/open forum as it will be a class on the technologies. Build a concept of operations: What do we want to do with it? Build a network, without protocol, identify locations for nodes, both desired and possible. Everyone is welcome. Feel free to bring gear! As more of a placeholder than anything else, there are at least two current issues of QST that cover digital stuff. The July 2013 issue talks about HSMM networks, the January 2014 is a DIY featuring the Raspberry Pi. 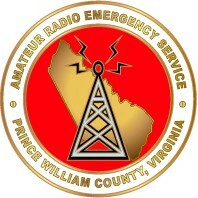 Welcome to the blog post of Prince William County ARES (Virginia). This site is for members to discuss various topics related to the Amateur Radio Emergency Service, Amateur Radio, and other technologies that are related to Emergency Communications and Emergency Preparedness.